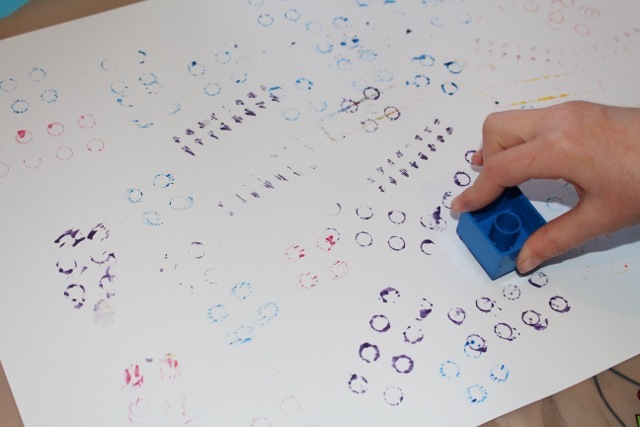 Using pieces of Lego or Duplo as painting stamps is a simple and fun activity. 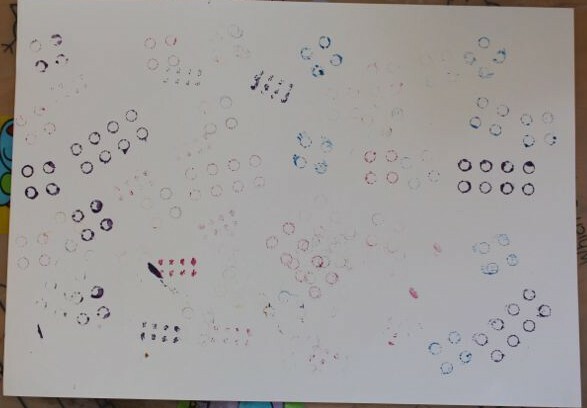 I normally use paint on sponges for stamping activities, but since we had recently purchased some large paint pads, we used these to make our prints. L and A used both Lego and Duplo to make their artworks. 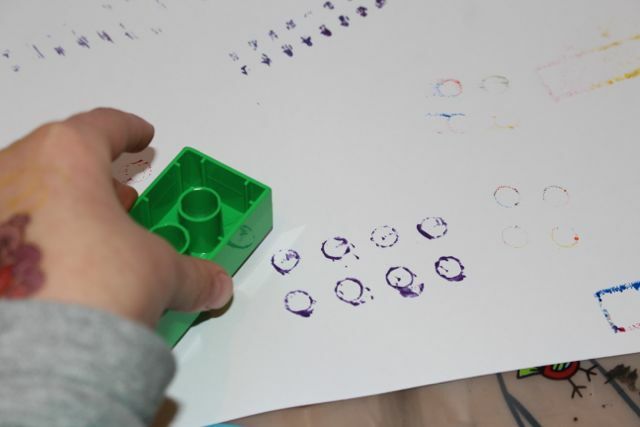 L tried some stamping using both sides of the Lego. 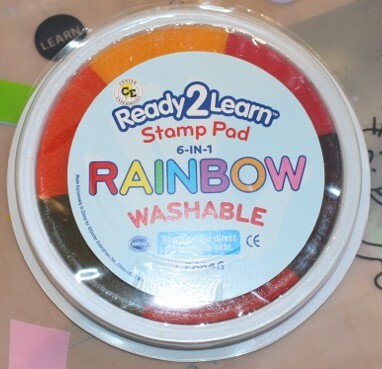 One of the paint pads. 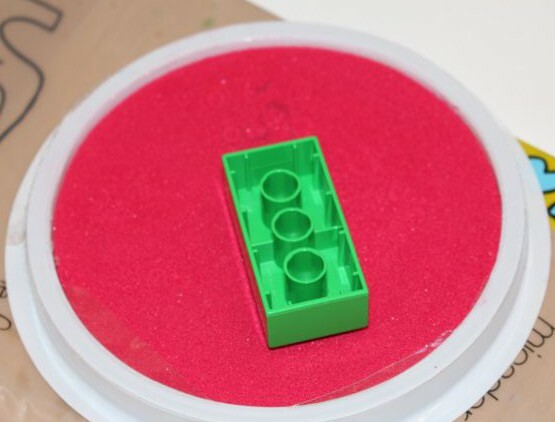 Duplo on the paint pad ready for stamping. A stamping her page with Duplo. 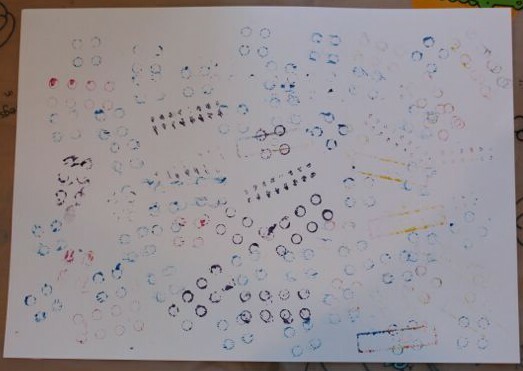 The kids enjoyed this easy activity, and made some nice prints. The only downside was trying to get the paint out of the top of the Duplo! A bottle brush did the trick in the end. Once they were clean and dry, the Lego and Duplo went back into the tubs to play with again another day.